Yelena Isinbaeva Charity Foundation thanks the partners for support and involvement to the projects. CSKA - Russia's leading sports club with a century of history. It consists of 6 regional branches, 10 sports centers, 27 specialized youth sports school of Olympic reserve, and 5 youth sports schools. CSKA represents 56 sports and sports training exercise almost the entire territory of Russia. Rostech – Russian State Corporation, created to assist in elaboration, production and export of high technology industrial products for civil and military targets. It includes more than 700 companies. The most famous brands of them are AVTOVAZ, KAMAZ, Helicopters of Russia, VSMPO-AVISMA. Coca-Cola - a leader in the production of high-quality non-alcoholic beverages and one of the biggest investors in the Russian economy. For more than 100 years of Coca-Cola participated in sporting events around the world - an integral part of company policy and an important element of business. Adidas - world leader in sales and production of sports equipment. Adidas Group is a company that changes humans’ life through sport every day, creating new and erasing the borders of impossible. We live along with sport, inspire with our deeds and help people make confident steps towards bright achievements. TUTKOVBUDKOV - creative agency with 6 years experience on commercial market, that creates ideas for communication and branding through traditional and digital-media. The agency works with many both regional and federal companies. Among the latest: S7 AIRLINES, “Sokolniki” park in Moscow, «Volma». Rays - social project successful Volgograd businessman Alexander Malashkin created to show the importance of entrepreneurship to the next level and reveal its social features. The project is working in three areas: social, develop and maintain community values. 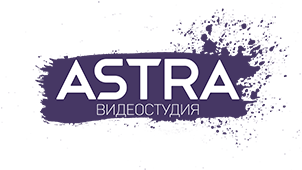 Astra - is not just a video studio, a team of like-minded people, for which the main goal - creation of high-quality videos. For 4 years of filming and editing video studio on account of a lot of work for major national companies, the cooperation with well-known brands and the people both in Russia and abroad. Studio "KEFIR!" - Developer of games for social networks and mobile platforms. For a short period in the market of gaming applications her team has created a number of high-end products, which drew an audience of more than 20 million people. Among them are such hits as: slammer, in the trenches, Lords & Swords. YUNARMIA is a Russian movement for children and young people in support of patriotic education of the new Russian generation. All over the country YUNARMIA created its local departments and more than 165 thousand girls and boys have joined the movement. Everyone who loves our country, commemorates our heroic ancestors and looks forward to developing a greater future for Russia can become a YUNARMIA member!